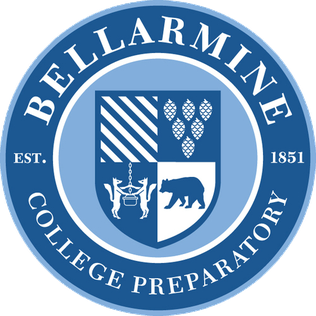 Registration: Only Bellarmine College Prep students who are taking Rhetoric their freshman year will be allowed to enter this intrasquad tournament. All other schools will be dropped from the tournament without notice or warning. This is the first year the Rhetoric Debate Tournament will be run on Tabroom, which means that all postings, results, and judging will be online as well! All student judges MUST have a Tabroom account AND must be LINKED to a judge on their Tabroom account. Please see the “Judges Instructions for Online Ballots” page on the side bar if you happen to have any questions about online balloting or how to link your Tabroom account to a judge. Judges, please look under the "Judging Information" page on the side bar for notes about judging. Pairings for all debates will be posted on Tabroom, the day prior to and every day after rounds have completed. The tournament schedule will be listed on the invite page and on a separate custom page on the side bar. Please make sure that you and your debate partner know which room you will be debating in, which side you are on, and which team you will be debating against. On the day of the round, please head over to the room which you are debating in ASAP. Judges will be reinforcing a strict five-minute forfeit time after the bell rings to begin class. Students who will be absent or will miss school due to athletic events, extra-curricular activities, medical appointments, etc., MUST alert Mr. Langerman before the tournament begins. To access comments, ballots, and results, you will need to use your Tabroom.com account. If you do not have a Tabroom account or do not know how to link your account to a competitor, please look under the "Students' Instructions for Tabroom Accounts" page on the side bar for instructions. The schedule is located under the "Info" tab on the side of the Tournament Website. All announcements will be done by email or Slack. Please be attentive about emails and Slack notifications that you receive from the Tournament Directors or Mr. Langerman. Please sign up for “Live Updates” from the specific tab on the Tournament Invite. This will alert you with text or email notifications about new pairings/postings and for judges, whether or not you have a ballot for the next round. We look forward to running an amazing Rhetoric Debate Tournament!